This is our 17th Quarterly Report. We have kept it brief and specifically relevant to the locations where the clients of the Survey Spain Network are most active. As part of the research, we have identified a number of wider and national property comments. The Overall Market – Increasing optimism with the first quarter being better than last year’s. 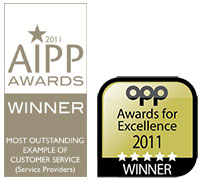 Generally, the agents we’ve talked to have been upbeat regarding sales and the future market. They all report that new properties are selling well, but that older, ‘classical’ properties are struggling, and prices continue to drop for those, except in the best locations. We have recently been asked to value a property on the beach side of Marbella’s Golden Mile. The purchasers intend to demolish the nearly 1,000 sq m property and build a new style, which illustrates the premium that can be gained for new. However, given that new build licences in Marbella are taking up to 2 years to be granted, due to the continuing planning hiatus, extensive remodelling would appear to be the better course as licences for that are understood to be available within 3 to 6 months. As stated in the last few Reports, despite the comments above, we are still concerned at the amount of new construction being carried out, all along the Costa del Sol, with the probability of much of it coming onto the market at approximately the same time. There is still a considerable gap in price between the equivalent new and resale properties, which means that most purchasers of new property are going to be finding themselves in immediate negative equity. However, it appears that the presence of new materials and design is sufficient to encourage buyers to succumb to the superior marketing and elect for the new property. They are also being encouraged to view these properties by incentive furniture and other packages and agents encouraged to bring their clients by higher than standard agency fees. Along the Costa del Sol, several agents report that they are finding that many older properties are coming onto the market due to families growing and spreading, leaving largely unused the increasingly elderly parents’ holiday or retirement home. The elderly owners prefer to have the money available to live on and are either going back to their countries of origin or renting smaller, ideally single floor homes and thus joining the already crowded rental market. 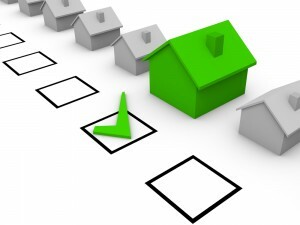 The market for inland properties is reported to be beginning to pick up at last. Again, the properties must be exceptionally located and to have no planning or building problems. In addition, increasing relaxation of the Regularisation (DAFO) possibilities for properties built illegally, is making it possible for all the paperwork to be brought up to date and owners able to live or sell with confidence that there will be no further fines or demolitions. Two agents have stressed the importance of having all the paperwork up to date, no matter how legal the property is. One agent instanced the situation where the historic title documents gave a size less than one-third of the actual size. It took 6 months and some costs to correct the situation, even though it wasn’t contentious and only the administrative bureaucracy had to be gone through. By that time the potential buyer was long gone and the property was being shunned as a ‘troublesome’ property by agents showing properties in the area. Unfortunately, this is a situation that we have found when valuing a number of mortgaged properties and could delay debt recovery and make it costlier in the event of a bank requiring to liquidate the security. Brexit is now less than a year away at 29th March 2019. The reality of the change that is coming and the dashing of hopes of a change of mind by the UK will be increasingly concentrated into this short period. Agents report that whilst there has been a slow down by some UK buyers, there has also been an increase in those wanting to make the move before the transition period starts. 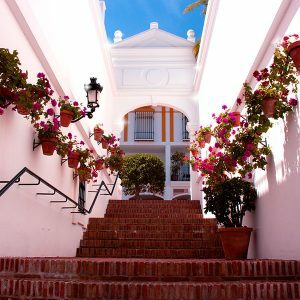 Any slacking of demand by UK buyers has been ably taken up by other Northern European nationalities, with Estepona town alone seeing the opening of 4 or 5 specialist Nordic estate agencies to cater for demand from those countries. The Spanish demand continues to recover, with many buying investment properties and the traditional town nucleus continuing to expand and new suburban areas created. As the local economies expand, so new buyers and especially tenants arrive to fill the employment opportunities created. PENDING LEGAL CHANGES THAT COULD AFFECT PROPERTY VALUES? This will be included when appropriate. However, we stress that we are not lawyers and thus can only comment to the best of our knowledge. We are not aware of any new legislation directly affecting the properties. However, as local legislation can be created by the various government authorities in which the properties lie, there may be relevant legislation of which we are unaware. Survey Spain is recording prices and valuations throughout our Network. Due to the limited number of properties and the even fewer number of reliable sale figures, we are only able to provide a meaningful analysis of prices and values for some Municipalities this quarter. However, as before, we have commented on the majority of the areas, with the opinion sourced from our valuers, agents and other sources in the areas. Where we have insufficient information, we have combined information into larger areas. As requested and also as this is the area with most activity, we have been able to provide more information on the Costa del Sol market. It should be borne in mind that we have few valuations of new property, with the majority being resales. VALUE PER SQ M FOR THIS QUARTER. As normal, there is a substantial range over the whole area. The highest valuation per sq m was for a townhouse in Marbella at 6,739€ euro per sq m; with the lowest being 661€ euro per sq m for a country villa in Almería, that has been built outside the urban area, has some permission, but has been added to considerably thereafter and the owner is sitting in constant fear of discovery and the fines and demolition that could result. This quarter shows a continuing reduction in the difference between Asking and Buying prices, down from 9.56% of the Asking Price seen last quarter, to 7.05%. We consider that this is an important statistic as it could be an indication that demand is approaching supply and thus the negotiating power of seller and buyer is coming closer to a balance. Where we have valued the same property over time, this is the 12th continuous quarter where there is an increase in the average value above the preceding quarter. However, this does include a wide range of variations, with the largest increase being the aforementioned townhouse in Marbella rising by 25% in 18 months; and a low of -27% over 15 months, where a property used as a loan security was found to have been abandoned and vandalised. THE MARKET IN INDIVIDUAL AREAS. The average valuation for properties in this area is 2,427€ euro a square metre, which is a substantial increase over the previous quarter, but probably reflects better quality property rather than an overall market increase as the sample of properties is small. The local agents are, as always, optimistic as to future trends, reporting that the new specialist fund owners of Sotogrande SA are investing heavily and encouraging others to increase the status of the area to rival the best in Europe. New build, high-value villas are apparently selling well off plan, though whether these are to occupiers or investors is unknown. The Marina expansion and the Sotogrande International School are also strong influencers for the area. Older properties are selling, but only if the owners are prepared to accept, at last, that the property needs work or has been wrongly priced for some time. It gives the impression that the market is falling, but in reality, it is just the owners coming to their senses and realising that they are not going to find the exceptional, naive purchaser who will pay above market. The potential Brexit troubles for Gibraltar appear to be slowing the market, but there are still reports of interest from UK buyers, though Gibraltarians are perhaps being much more cautious. Undoubtedly, Estepona is the principal beneficiary of the planning problems within Marbella, as developers are carrying out a large amount of development on the land that is available although that may not be the best location in Costa del Sol. However, these developments will result in increases to the local economy and the strong marketing will achieve a critical mass that will increase the prestige of the area. On the other hand, if that doesn’t happen, there is potential for a substantial oversupply reducing values all around. The rate per square metre of asking price in Benahavís is 4,528€ euro per square metre, reflecting the high-value properties in the municipality, including La Zagaleta, El Madroñal and Los Flamingos. The average valuation within Estepona and Casares is approximately 1,762€ per square metre. Agents report that property close to Estepona town is ‘flying’, with strong demand and sales. There is strong competition between new and resale properties, with new prices increasing with pre-construction reservations, but resales having to keep prices steady to ensure an early sale. As stated previously, the planning situation is still unchanged, with it proving a severe brake on development in the Municipality. We are informed by an agent that it can take 2 years to get permission to develop a new villa, or even 6 months just for extensive remodelling of an existing one. Given the intensity of development in the Municipalities around, it may be that this will be of benefit to Marbella, should there be an excess of supply. The prime areas within Marbella will always be sought after and so their exclusive value will continue to increase. The average rate per sq m of 3,124€ euro is marginally higher than last quarter, but includes a range from 1,308€ euro to 6,379€ euro per sq m.
The average value is 1,596€ euro per sq m across a relatively narrow range of +/- 10%. Agents report that the resale values are steady though perhaps dropping (which Survey Spain has found in comparable evidence for valuations). The reason can be that the owners have a large property that has been used by the family for many years, but that family has now grown and is looking to holiday elsewhere. There is no point in the older generation rattling around in the big house, so they are seeking single floor properties. With many being sold by British owners, the change in exchange rate has meant that their euro sale will give them more to buy in sterling UK. New apartment properties are selling well, with these areas benefitting from a good mix of nationalities, again with a mature buyer base. Traditionally of lesser value to Western Costa del Sol and in times of increased demand attracting buyer for that reason. 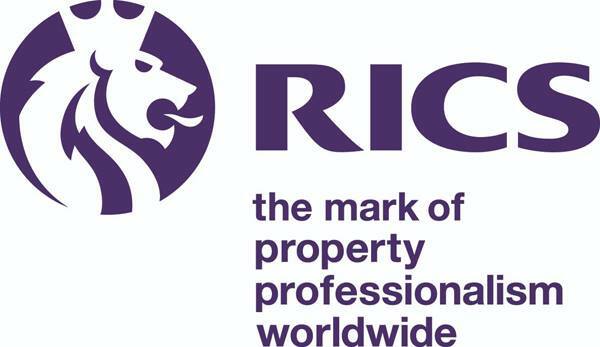 Many created or bought properties with little thought of planning regulation and have not been conscientiously advised by the professionals supposedly representing them – or have gone ahead without advice or ignoring it. These owners, of which there are many thousands in this area, have been blocked from selling for many years as the planning and tax authorities have found them and taken action against them. However, the plight of these ‘in good faith’ buyers, has been recognised and the authorities are gradually relaxing the rules that permit such owners to ‘Regularise’ their properties and bring them as close as possible to meeting the building and planning requirements, without being able to fully ‘Legalise’ the property. There is a cost to such compliance, but if owners wish to sell or sleep well, knowing that their property is not to be demolished around them, they have no choice but to pay. It is a just solution as the original construction avoided the building regulations, and licence and tax costs that a legal property would have had to pay. An agent specialising in such areas has stated that sales for this quarter are 17% higher than the equivalent last year, prices are beginning to move up and Spanish buyers are coming back into the market. Mojácar is still the success story of the area. “There are a lot of different stresses, but in general, prices have stopped falling. The coast, as always, is more active, with some areas having serious price rises and others, less. Costa Blanca South and Murcia seem buoyant, with the prospect of the new airport at Corvera opening soon. Mojácar continues to enjoy a mini- boom. As for discounts, these range from 5% (Mojácar), to 10% (Costa Blanca South and Murcia), to as much as 20% (Inland locations with little positive to recommend them to purchasers). A direct Brexit effect is not yet noticed, but the value of the Pound Sterling is important in an area with a disproportionate number of sterling-based buyers. The average is 1,400€ euro per sq m, but that covers a range more than double that to less than half. Market sentiment is positive, and liquidity improving with more sales and more property coming onto the market. There is a significant increase in speculative development in coastal towns. Some agents have confirmed offers at asking prices in prime locations, but generally offers are between 5-10% below asking price. UK buyers are still in the market, together with Norwegian, Swedish, French and Belgian. There have been headlines of increased demand, displaced, due to the political troubles, from Barcelona and Cataluña, but this appears to be restricted to the city of Valencia. 2018 should be another good year for the Balearic property market. Prime property remains in demand and supply gets smaller. Seasonally, this time of year is always relatively quiet, though sales will pick up now we are in Spring and after Easter. Banks are more obliging with lending and investments more visible. There is strong demand from the Scandinavians, added to the usual German and British interest. Menorca seems to be getting quite a lot interest, so expect to see good price rises there this year. With the wettest March for many years on Costa del Sol greening the hills all around, the spring is not only climatic but appears to be in property demand too. The investment and occupier buyer demand appear to be increasing and, with the Spanish economy becoming more buoyant, there is increasing confidence there. Accordingly, we foresee increases in values, but there should always be a hesitancy as professionals and especially financiers remember the background and suffering from the crash and the excesses that led to it.